In 2009, the Minnesota Thunder Academy girls program was announced as an inaugural member club of the Elite Clubs National League (ECNL), the highest level of female youth soccer in the United States. 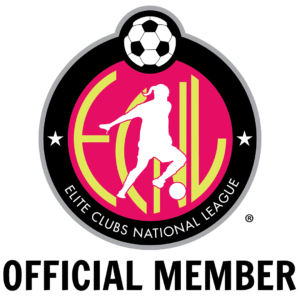 The ECNL was founded by forward-thinking Directors of Coaching across the country who saw a need for change in and special commitment to improving the daily environment for American elite female youth soccer players. In fact, our own DOC, Dan Storlien, was one of the founders of ECNL! These directors came together and collaborated to build what would become the top female youth development platform in the world. The ECNL continues to be the most progressive and innovative development platform in the country. The ECNL is sanctioned by US Club Soccer. The Elite Clubs National League has had an incredible impact on all levels of women’s soccer since its founding in 2009. Over 90% of the ECNL’s Amazing Young Women go on to play collegiate soccer every year and make an impact at the next level as cataloged in the ECNL’s College Impact series. Over 1,100 college bound athletes in the class of 2019. Girls ECNL is the top youth female development platform in the world. The ECNL’s Midwest Conference is comprised of eleven clubs that span across 7 states: Illinois, Kansas, Minnesota, Missouri, Nebraska, Wisconsin and Michigan. The conference competition season is from late October to Early June. Tuition for 2018-19 MTA ECNL is $3000-3500. Uniforms, tournament registration fees, and travel expenses are not included in tuition. MTA ECNL teams typically participate in 2 of the 4 ECNL National Events per year in addition to ECNL Midwest Conference league play and ECNL post-season play (if the team qualifies). ECNL National Events are typically held in November, December, February, April, and May. Past locations have included Phoenix, Orlando, Houston, New Jersey, and San Diego. The ECNL post-season includes the National Playoffs (June) and National Finals (July).